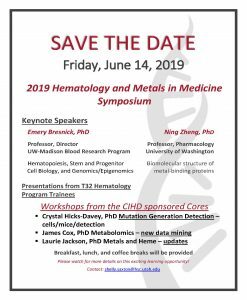 The Center for Iron and Hematology Disorders (CIHD) at the University of Utah School of Medicine consists of three scientific core facilities which include the Mutation Generation & Detection Core, the Metabolomics Core, and the Iron & Heme Core. In addition to these Cores, there is an Enrichment Program, Internal and External Advisory Committees, and a Pilot and Feasibility program for the Center for Iron and Hematology Disorders. 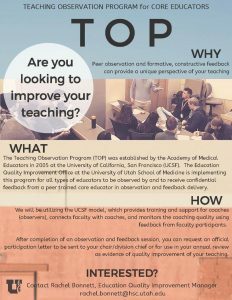 These cores offer many different services to a large majority of members within the CIHD as well as The University of Utah. To contact Core directors, find out services provided, and the rates of these services, click on the respective page. 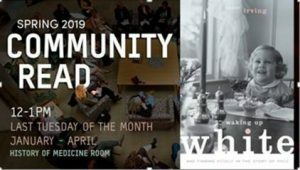 To find out upcoming events these Cores and programs will be providing, click on Events Calendar. Dean Tantin, Tracey Lamb Tantin, Associate Professor. 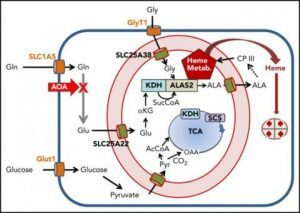 Does Oct1 loss-of-function in bone marrow progenitor cells exacerbate the severity of malarial anemia? 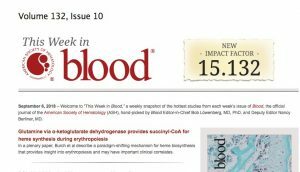 Congratulations to the Plenary Paper in Blood published by CIHD Members John Phillips, Harry Dailey, Amy Medlock and the CIHD-Sponsored Metabolomics (James Cox and John Alan Maschek) and Iron and Heme Cores (Laurie Jackson). 9. 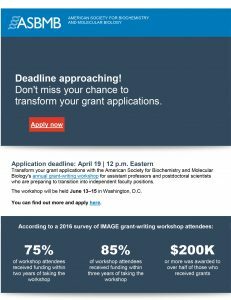 Metabolism Core Fuels Innovative Research. 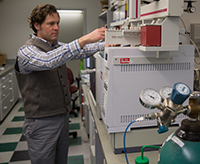 Recent article highlights James Cox, PhD and the Metabolomics Core at the University of Utah. Effective mentoring and leadership development are some of the most critical components of a successful academic career. 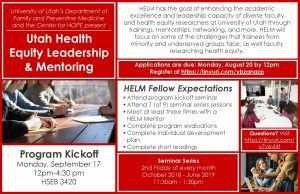 The University of Utah will launch the Utah Health Equity Leadership & Mentoring (U-HELM) program in 2018 with the goal of enhancing the academic excellence and leadership capacity of faculty and postdocs from underrepresented populations in the health sciences as well as health equity fields at UU. 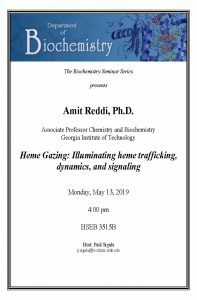 U-HELM will focus on some of the challenges that trainees from minority and underserved groups as well as other faculty whose research is addressing health equity may face. Visit the U-HELM webpage for more information and to apply. 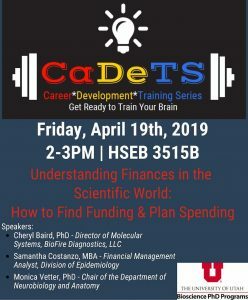 Diane Ward and June Round – University of Utah Immunity, Inflammation, Infection P&F grant: The effects of low iron diet on gut immunity and the development of Fatty Liver Disease 01/2019-12/31/2019.